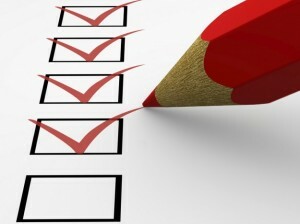 A Safety Checklist for Patients | ExpressWell, Inc. If you are admitted to the hospital, check your ID bracelet to make sure all information is correct. Staff should use this bracelet to confirm your name before any treatments or tests. If you are making an outpatient visit, staff should ask you to confirm your name and another unique identifier, such as your date of birth, before treatments or tests. Verify that blood and other specimens taken from your body are labeled in front of you. Ask a nurse about your fall risk level and what steps are being taken to reduce that risk. Keep the nurse call bell, eyeglasses and other items within reach, and wear non-skid footwear. If you need assistance walking, request help before the need to use the bathroom becomes urgent. Ensure that you are screened by clinicians to identify your risk for blood clots. Given your risk category, ask what treatments you should receive. Ask every day if you are getting the treatments you should to reduce blood clots. When you enter the hospital, be familiar with what medications you are taking, your allergies, and your complete medical history. Ask to participate in daily interdisciplinary rounds. If you are confused about something regarding your treatment, ask for a “bedside huddle” with the care team to make sure they come to you to address your concerns. To help reduce harm, clinicians must partner with patients and families. Patients can use this checklist, as well as the information and tools listed below, to help keep them safe. Director of the Johns Hopkins Medicine Armstrong Institute for Patient Safety and Quality, Peter Pronovost, MD, PhD is a practicing anesthesiologist and critical care physician who is dedicated to making hospitals and health care safer for patients. Dr. Pronovost has chronicled his work in his book, Safe Patients, Smart Hospitals: How One Doctor’s Checklist Can Help Us Change Health Care from the Inside Out. His articles and posts appear in many publications and blogs including: Points from Pronovost.